The 22 titles of diverse genres are from 18 participating European countries with the annual festival’s aim to reflect the region’s current status as a hotbed of cultural diversity and creativity while showcasing the dynamism, breadth and innovation of contemporary European cinema. I’ve seen some of these films before and they are fantastic. Tickets are priced at MYR7.50 (inclusive of 6% GST), with the exception of GSC Movies’ title Purgatory. Screenings are FREE of charge for these three titles: The Chair of Happiness, A Gun in Each Hand and Only When I Dance. For screening schedules and ticket purchase, visit gsc.com.my, participating GSC outlets or use GSC Mobile App (IOS, Android & Windows Phone). 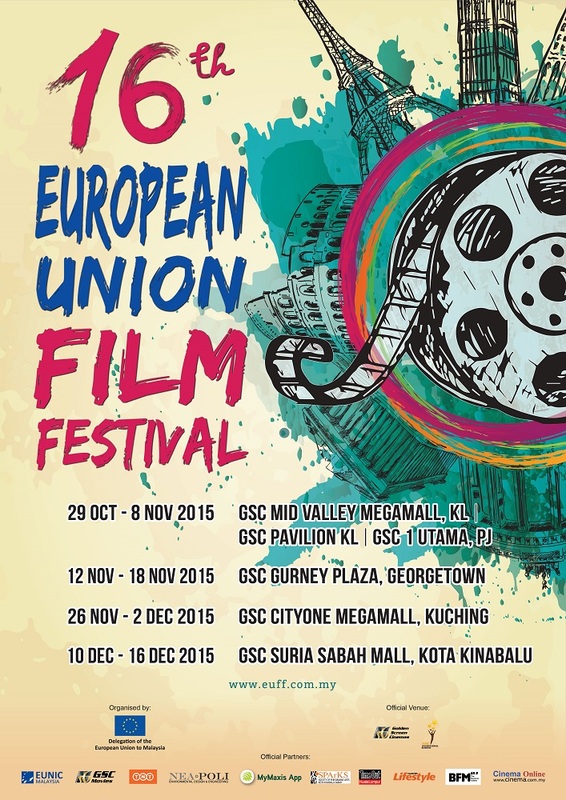 EUFF is organised by the Delegation of the European Union to Malaysia, in collaboration with the embassies and cultural institutions of 18 European Union Member States, Norway and Switzerland. For more info, visit euff.com.my.